Why wait until summer? Come rock out with MAMM in Bangor over the school vacation week! 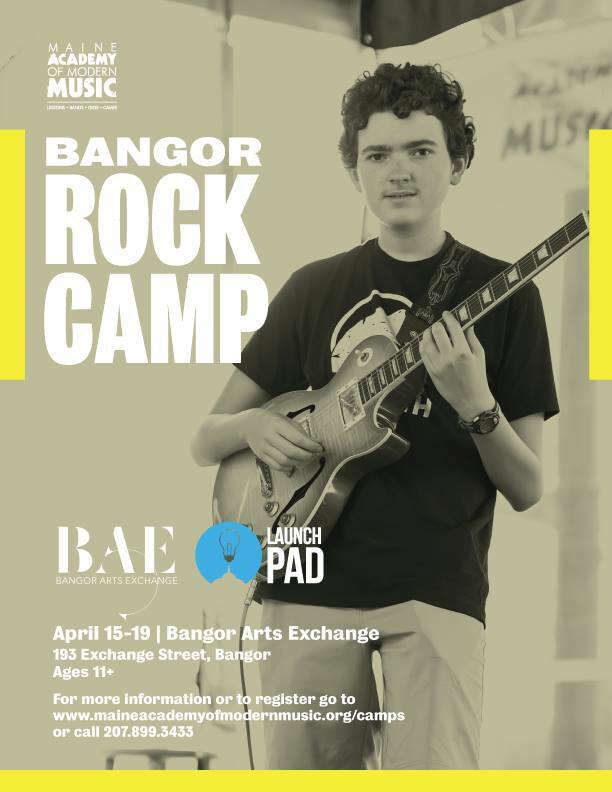 Hosted in partnership with Launchpad and Bangor Arts Exchange, this camp is an excellent opportunity for kids to play in a band, perform covers, and write original music. Accomplished educators and members of local bands offer inside tips on self-promotion, booking, gigging, the history of rock and music theory. Get $25 off each additional Maine Academy of Modern Music camp OR get $25 off each week per additional sibling. For more details or to register, call (207) 899-3433 or visit www.maineacademyofmodernmusic.org/camps.